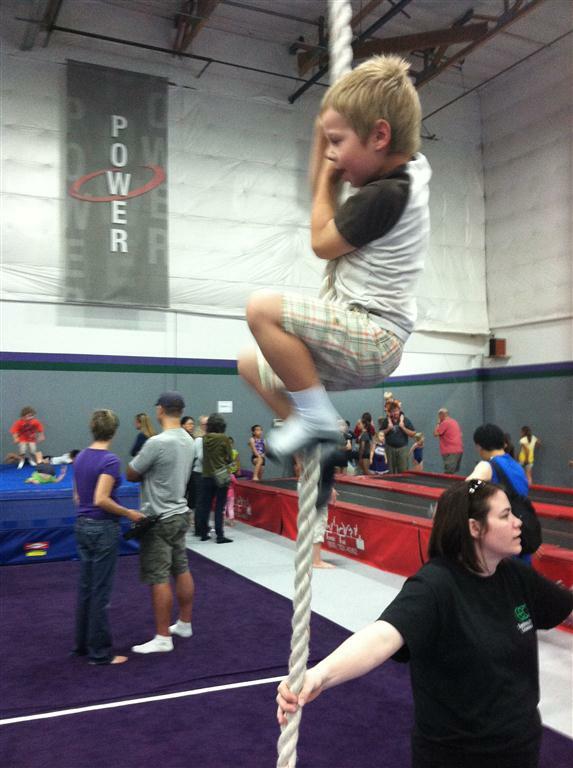 One of the local gymnastic places had an open house day where anyone could come. I though I would check it out with the kids. Well, it was a mad house, but, Jameson did get to try climbing the ropes. I didn’t realize how high he could climb with no help.